Did you know you can make a difference on your lunch break? Making smart choices when you go out to eat is a great way to support small, local, and diverse businesses in the U-District and beyond. 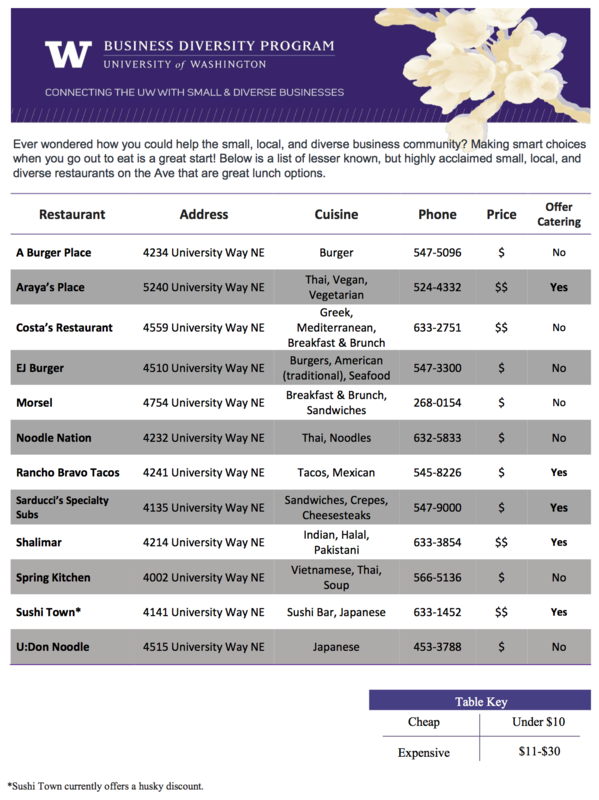 Thanks to the Business Diversity Program for creating this list of lesser known, but highly acclaimed small, local, and diverse restaurants on the Ave that offer great lunch options.